As part of Earth Month at UC San Diego, the Sustainability Office will host the 2016 Sustainability Awards on April 26, 2016. Nine award recipients will be honored at this event for their dedication, advocacy and support for practices and procedures that have contributed to sustainability and renewable energy on the UC San Diego campus. King is an Ecology, Behavior and Evolution major at UC San Diego who is passionate about California water conservation and wilderness preservation. In an effort to promote water conservation, she created a website dedicated to promoting the cause and sharing ways to conserve water. Along with the website, King designed kitchen sink prototypes that will allow sink water to be saved and volunteered at Jewish Community Center: Camp Tzofim to teach children about sustainability and water conservation. 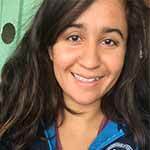 Nagarkar is a graduate student at UC San Diego currently conducting Marine Biology research, along with serving as one of the main coordinators at SCOPE (Scripps Community Outreach Program for Education). 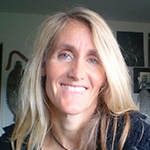 She is a supporter of the Scripps Institution of Oceanography graduate community in environmentalism and public outreach and mobilizes graduate students to coordinate public and school tours of all ages. Nagarkar is knowledgeable in environmental politics and is a leader in the community by setting an example of environmentalism and sustainability. 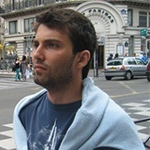 Lewis is a lecturer for the Urban Studies and Planning Program at UC San Diego. She models sustainability in her personal life by living simply, cycling to campus, shunning consumerism and taking 30-second showers. As a lecturer, Lewis integrates concepts of social, environmental and climate justice with principles of permaculture and traditional ecological knowledge. 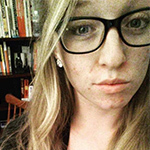 Additionally, she fosters ecological and social systems awareness among high school students in the City Heights area of San Diego. UC San Diego’s Engineers for a Sustainable World is a student organization that focuses on sustainability. Currently, the organization has 12 active projects that encompass sustainability within resource management, renewable energy or education outreach. This year, Engineers for a Sustainable World has raised over $50,000 to create a solar tree array to provide a place for students to relax and charge their electronic devices, with more potential modules to be created all over the campus later this year. Also, the organization currently provides mentorship to Hoover High School students in an effort to inspire them to pursue careers in the field of sustainability. 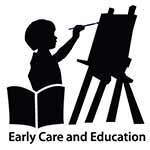 The staff at the UC San Diego Early Childhood Education Center (ECEC) strives to incorporate sustainability through education, research, planning, operations, outreach, stewardship and campus and public outreach. Teachers and staff use safe, sustainable and recycled materials to teach children about the environment and conservation, along with providing information about safety and environmental stewardship to parents and public supporters. One successful program that ECEC has launched is the Garden Program, which educates students and parents on healthy eating and sourcing locally. Throughout his time as a Ph.D. student and now as a postdoctoral fellow, Aksanli has successfully contributed to the energy efficiency of the UC San Diego microgrid. He has taught courses related to sustainability for both undergraduate and graduate students, along with being a mentor. Currently, his projects include managing renewable energy and energy storage devices, modeling user and electric vehicle behavior for grid-related control, and leveraging data centers for enhancing grid stability. Additionally, his sustainable solutions have led to government and industry funding, and are used by companies such as Google, Panasonic, Qualcomm and academic research centers such as Terraswarm. The Ocean View Growing Grounds partnership has transformed a vacant, urban lot in Southeast San Diego’s Mountain View neighborhood into a vibrant community garden, food forest and learning center. Participants are now able to learn which plants have the capacity to uptake harmful elements in the soil through tested track levels of pollutants and metals. The Ocean View Growing Grounds also hosts workshops on soil science, collective visioning, composting and healthy cooking. VWR International, a global laboratory supplier and distributer, developed a reusable pallet program specifically for UC San Diego last year in an effort to help the campus reach its Zero Waste Goals. 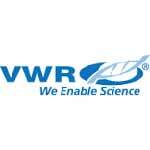 This was the first program of its kind for both UC San Diego and for VWR’s academic accounts. VWR also offers a rain forest saving program for clients that protects 500 square feet of rain forest for every $1000 spent on VWR branded products; additionally, the area is named after each client. 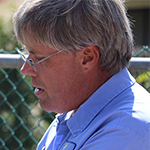 Johnson has worked as a groundskeeper for UC San Diego Facilities Management at Eleanor Roosevelt College for six years. With his assistance, students created Ellie’s Garden, the college’s first student garden. Additionally, Johnson has helped students design, build and maintain two additional student gardens (Ellie’s Farm and Ellie’s Backyard) as well as helping to create an arboretum at UC San Diego, which will provide outdoor space for students to enjoy as well as a place to practice and research new ideas about sustainable landscaping, water conservation, composting, edible landscaping and land management. Johnson volunteers his free time on weekends to educate students about sustainable gardening on campus and off, while actively seeking out ways to incorporate sustainability into the everyday at UC San Diego. UC San Diego is celebrating Earth Month throughout April to educate and raise awareness about sustainability, climate change and the impact of policy on the environment. This is the first year that UC San Diego’s activities around Earth Day, recognized nationally on April 22, have been extended to a month-long series of events. To learn more information about Earth Month, visit the UC San Diego sustainability website.